Dr. Mohan Gaikwad, with more than twenty years of experience in education system to his credit,established the Gaikwad- Patil Group of Institutions in to cater to the quality education needs of the youth in Vidarbha. His early experience of teaching in an engineering college made him acutely aware of the dissonance between engineering education in the country and the requirements of the industry. He therefore began with a dream of starting an engineering college that equips students with knowledge, skills and attitudes relevant to the industry. That dream has manifested today in the form of two engineering colleges, well known in the region for their constant striving to impart quality and industry-relevant education to their students. Hardly in his early forties, Dr. Gaikwad is the young and dynamic face of the Group. His contagious enthusiasm and unflagging drive is truly inspiring. With first class post graduate degrees in English Literature, Mass Communication and Sociology, plus M. Phil. in English Literature and now a Ph. D. in English, Dr. Anjali Patil-Gaikwad is an academician of repute. In addition to regular participation and paper presentation in national and international seminars, she has also been organizing international seminars on teaching and learning of English as a Second Language every year. Formerly associated with the Indian Liberal Group, she was the Secretary General of Liberal Youth South Asia, and has extensively toured various countries such as U. S., Germany, Belgium, Nepal, Sri Lanka, UAE, Mauritius, Thailand etc. 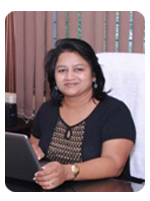 She was also elected to the Senate of RTM Nagpur University. 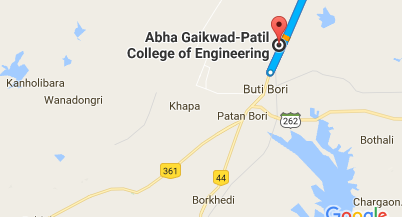 ABHA Gaikwad-Patil College of Engineering (AGPCE) is one of the best Engineering Institutions in Centre India. To serve this institution as Treasurer is a nice experience for me. Started in the year 2009, the college has made tremendous progress in diversified fields, thanks to the contributions from philanthropists, Technology experts, research centres, dedicated staff and the continuous support of the Board members. The essence of the life is to live a life for others and die for a noble cause. We at AGPCE express our gratitude for receiving an opportunity to serve the nation. We have a crystal clear vision of enlightening the student brain with sound and technology-rich academic curriculum. We pledge to ensure that the students of AGPCE will not only progress in their respective fields but will also become the responsible citizen by abiding to the rules and will live a disciplined life. I strongly believe in team work, only a good TEAM can bring out excellent results. By TEAM, I mean Together Empowering to Achieve More – so work as a team with good coordination to move towards excelence.